Why exactly did Yahoo purchase startup Summly for $30 million? Last month Yahoo acquired a news summarizing app called Summly for $30 million. The story garnered attention due to the fact that Summly was run by 17-year-old Nick D’Aloisio but there was something else fishy about the whole deal according to Business Insider. The publication found it strange that D’Aloisio – still a high school student living in London – was not moving to Yahoo’s headquarters in California. The app didn’t have very many users, didn’t make any money and wasn’t even built by Summly employees. Instead, D’Aloisio outsourced the app’s development to a company called Somo – an independent mobile marketing agency in the UK. He also outsourced the technology the app uses to a company called SRI International. So here’s how it looked: Yahoo bought a startup with an app that hardly anybody used, didn’t make any money and employed nobody with significant technical or design skills. What gives? According to sources, the deal with Summly happened as sort of a side effect of a deal Yahoo entered into with SRI International for summarization technology – the same category of technology that Summly uses. 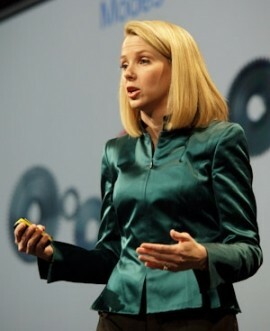 As the story goes, SRI International held equity in Summly which gives us insight into why Yahoo made the purchase. As per reports, D’Aloisio must stay on with Yahoo for the next 17 months but he won’t be in charge of the technology he invented and helped create. That task will be given to Yahoo’s mobile organization team led by Adam Cahan.